I didn’t become a passionate birdwatcher until 1999. Until then, while I enjoyed watching the winged miracles when I saw them, unless it was a cardinal, blue jay, mockingbird or a few other quite common species, I couldn’t name them. But when the birding passion hit me, I became obsessed with identifying any bird that came into view. So it was that I spent nearly an hour at Green River State Park north of Moab, Utah, one afternoon trying to identify the bird pictured in the photo on the right. There were more than a dozen of them flitting around the reedy edges of a small stream of water. I went back and forth through my birding field book without success. Then a male red-winged blackbird flew past – and the light finally penetrated my little gray cells. 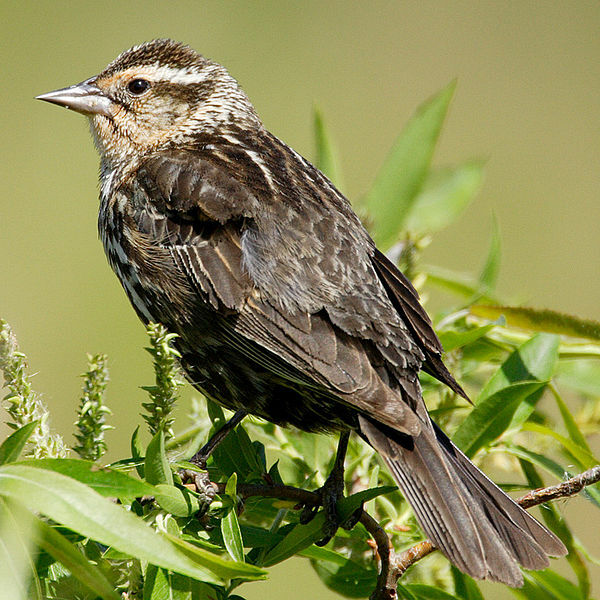 I finally knew I was looking at female red-winged blackbirds, whose gift of nature are feathers that camouflage the girls when they are sitting on eggs and raising chicks. Blog pick of the day. Bean Pat: Photo Nature Blog http://tinyurl.com/nymzhmb One of my favorite birds — and this is a great photo capture of a red-winged blackbird in flight. 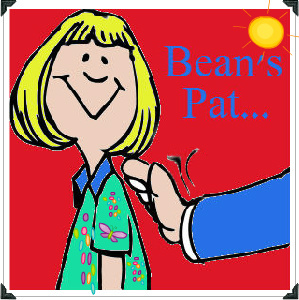 Bean Pat: 47-million year-old bird fossil http://tinyurl.com/ncbdvtr I found this discovery fascinating. Wow. I would have never guessed that was what she was. I love birding. 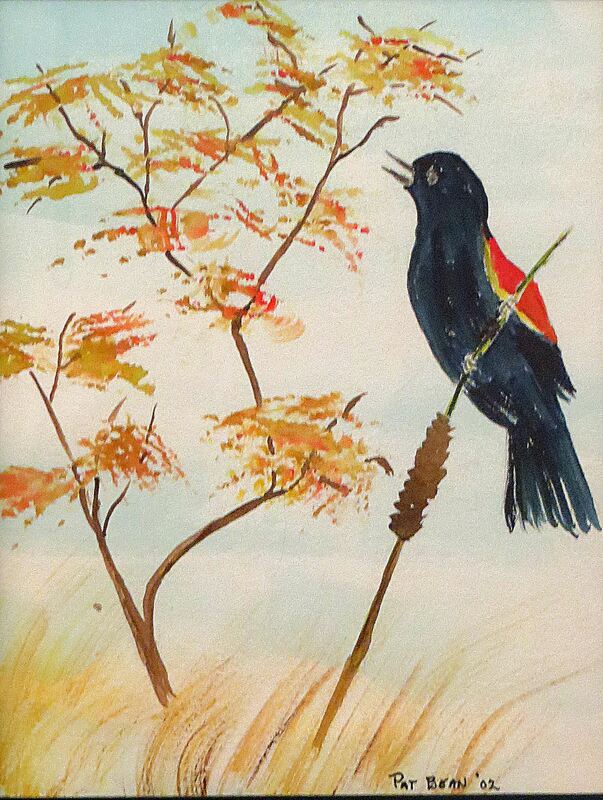 Pat, enjoyed this sketch of the Red-Winged Black Bird. I am 72 and every time I see this bird, I go back down memory lane to 3rd grade. My teacher told us about it and we colored a picture of it. For some reason that event has remained with me! Thanks! Thanks Txgg. I’m glad I brought back good memories. I didn’t mention it, but this bird has a beautiful song, too.